Illinois Bar Exam Results are In! Congratulations to our 2012 Alumni Award Recipients: Roy C. Palmer �, Distinguished Service Award; Kathleen M. McDonough � and John J. Pikarski, Jr. �, Professional Achievement Award; Matthew T. Jenkins � and Kathryn M. Woodward �, Young Alumni Award; and Seyfarth Shaw LLP, Institutional Partner Award. Each year, the law school recognizes alumni and friends who are leaders in their fields or who serve Chicago-Kent and the legal community, and we are proud to announce the recipients of the 2012 Alumni Awards. Hosted by the Chicago-Kent Alumni Board of Directors, this year’s Alumni Awards & Recognition Luncheon will take place Thursday, November 15 at the Standard Club. The luncheon will honor these distinguished alumni as well as our alumni and friends who volunteered for the law school over the past year. I congratulate this year's award recipients and thank those of you who have volunteered your time and energy to Chicago-Kent. For additional information on the 2012 Alumni Awards & Recognition Luncheon and to RSVP, please visit www.alumni.kentlaw.edu/awardsluncheon. A special thank you to our 2012 Sponsors who have so generously supported this year’s event, including Diamond Sponsor Segal McCambridge, and Reception Sponsors Edelson McGuire, Gordon & Pikarski, and Seyfarth Shaw, LLP. speaks with Prof. Nancy Marder, one of his former clerks. The Jury Center at IIT Chicago-Kent has been renamed in honor of retired U.S. Supreme Court Justice John Paul Stevens. Click here to learn more about the Justice John Paul Stevens Jury Center. 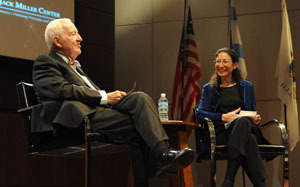 Video of Justice Stevens' lecture is available on YouTube at www.youtube.com/ChicagoKentLaw. Seven Chicago-Kent alumni were named in the � Illinois Attorneys Under Forty to Watch in 2012� listing by the Law Bulletin Publishing Company: John L. Abramic �, Howard L. Huntington �, Eric D. Jones �, Eric M. Madiar �, Kathryn L. Mickelson �, Jordan S. Powell �, and Jacqueline J. Torshen �. Click here to see all of Chicago-Kent抯 honorees, and on behalf of the Alumni Association, we offer a hearty congratulations! Ronald W. Staudt, professor of law and director of the Center for Access to Justice & Technology, was elected president of the College of Law Practice Management on October 25. The College of Law Practice Management was formed in 1994 to honor and recognize distinguished law practice management professionals, to set standards of achievement for others in the profession, and to fund and assist projects that enhance the highest quality of law practice management. Chicago-Kent is pleased to report a 95 percent pass rate for first-time Bar exam test-takers in the state of Illinois, which is six percentage points above the statewide rate of 89 percent. Thank you to our faculty and staff for continuing to provide the challenging academic environment required to produce such impressive results. Each year, we抮e privileged to acknowledge supporters of IIT Chicago-Kent College of Law by sharing a donor Honor Roll spanning our most recent fiscal year. With donors ranging from 3Ls making their very first gift to long-time partners and advisors of the school, the Honor Roll reflects the spirit and generosity of the ever-growing Chicago-Kent community. 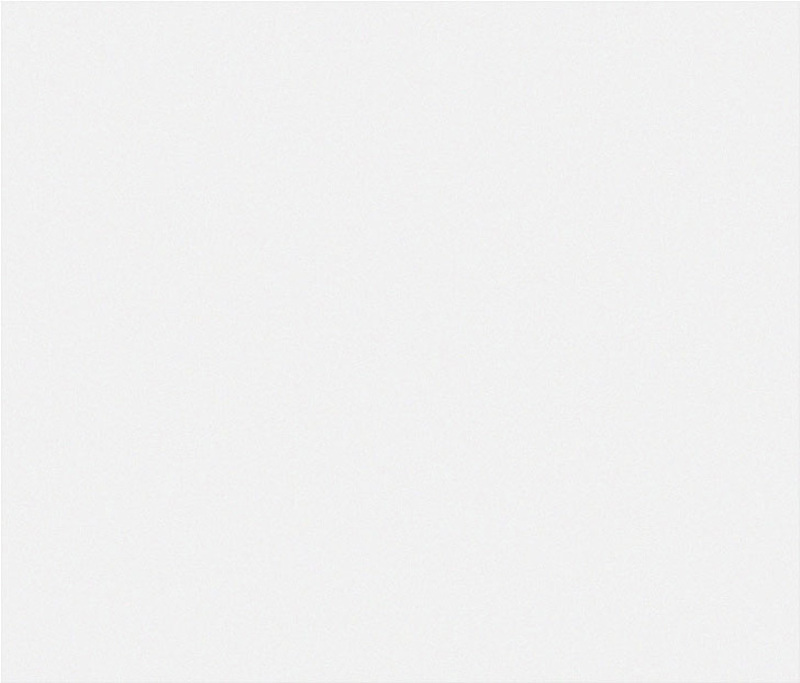 We couldn't do it without you, and we wouldn't want to. On the cusp of our 125th year together, here抯 to the bright future of Chicago-Kent. 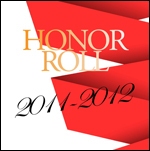 Access the 2012 Honor Roll now. On November 15-16, Chicago-Kent’s Institute on the Supreme Court of the United States (ISCOTUS) and the Chicago-Kent Law Review will host a symposium on the Supreme Court and the American Public. Presenters will discuss how the Court uses technology, how Justices communicate with the public and the role of journalists. The symposium is free and open to the public. For a complete schedule, visit www.alumni.kentlaw.edu/symposium. The Chicago-Kent Alumni Association will host a group swearing-in at the Bar of the U.S. Supreme Court on Monday, March 4, 2013. If you are interested in participating, please fill out the Information Form by Monday, December 3 to reserve your spot. Our group is limited to 50 participants. Please see www.alumni.kentlaw.edu/supremecourt for additional information. Meet Point: 845 W Washington Blvd, 3:00 p.m.
Tuesday, November 20, 2012 | 6:00-10:00 p.m.
Wednesday, November 7, 2012 | 6:00-8:30 p.m.
Tuesday, November 27, 2012 | 6:00-9:00 p.m. Eligible for 1.0 hours of IL MCLE Credit. Friday, November 30, 2012 | 8:00 a.m.-5:30 p.m.
Tuesday, March 12, 2013 | 11:30 a.m.-1:00 p.m. Eligible for 1.25 hours of IL MCLE Credit. Eligible for 11.0 hours of IL MCLE Credit. During ASCK Week 2012: Alumni/Student ConneKtions, recent graduates hosted students for coffee as part of a new Coffee ConneKtions program. Many thanks to all of our alumni who volunteered during ASCK Week! 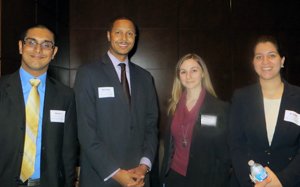 (L-R): Mohit Bangia '15, Michael Wilder '05, Lindsey Orlando '15, and Azadeh Akbari '15. 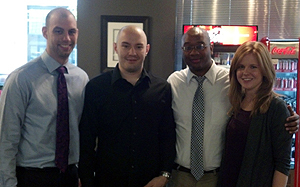 (L-R): Michael Aschenbrener '07 hosted Adrian Murati '15, Nickolas Spencer '13, and Casey Brown '15 for coffee in October. The Class of 1992, the first class to graduate from the law school's current location at 565 W. Adams, returned to the law school for their 20-Year reunion on October 18. Click here to view a slideshow on Flickr. 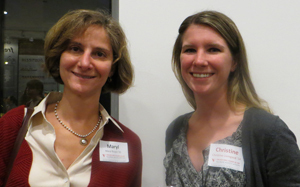 (L-R) Maryl Rosen '95 and Christine Livingood '15 met at the mentor kick-off reception. 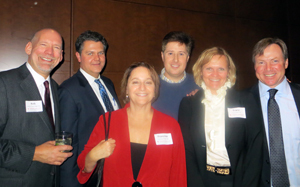 (L-R): Rob Graettinger '92, Steve Viz '92, Francine Fishel '92, Matthew Walsh '92, Tracy Robb '92, and Kevin O'Reilly '92. Help us reach 1,250 Facebook Fans! The Chicago-Kent Alumni Association is on Facebook at www.facebook.com/ChicagoKentAlum. 揕ike� us for the latest news, photos, and updates from the law school. At 930+ fans, we need your help to reach 1,250 in honor of the upcoming 125th Anniversary Year in 2013! Visit our page and 揕ike� the Alumni Association today.